Euroserve is a dedicated European vehicle service facility and we have been specialising in Saab service, repairs and diagnostics for over 25 years. 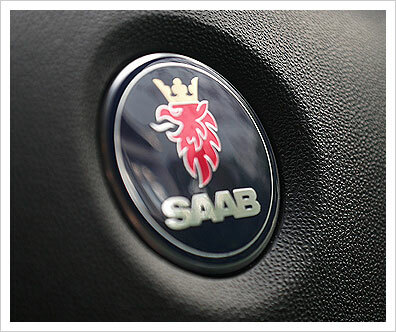 We employ factory trained Saab technicians that are experts at diagnosing faults and problems in these complex modern vehicles, using the factory diagnostic equipment. Dealers lately are talking about software upgrades and programming and here at Euroserve we have been able to carry out Saab factory level software and programming since 2006. Without this facility many new parts will not operate on the vehicle after installation. From 2004 Saab servicing has required a software download to extinguish the service indicator, and even simple components such as automatic window adaptation require the specialist equipment. Very few independent workshops have access to this equipment due to its high purchase cost and annual subscription fees for software and updates. Here at Euroserve we carry a range of genuine and OE (original equipment) parts, much of which we now have to import from Europe or the USA since the Saab parts back up in Australia is so poor. This enables us to keep this classic and unique automotive brand moving on Australia’s roads. In the last few years the automotive industry has been flooded with cheap inferior counterfeit aftermarket parts from China and other Asian countries. These components are fraught with danger and many catastrophic failures have occurred. With the shortage of original Saab parts these are commonly seen as an alternative. Here at Euroserve, we do not use these parts. Our aim is to give, you the customer, genuine savings on quality service and repairs compared to the Saab dealers, using genuine or quality aftermarket parts. Obviously we will never be able to compete on price with workshops using cheap parts and inferior equipment, but if you are looking for a true Saab dealer alternative, that operates to factory level standards, then why not give us a go and experience great customer service - your vehicle will enjoy great service too. Many European manufacturers now have extended service intervals and as such require manufacturers specific oils. These are expensive but are designed to last longer. Euroserve only uses the correct oils. Valvoline and Castrol are our major suppliers as their oils meet or exceed manufacturers specifications as well as having factory approvals. Because we only use approved products, servicing your vehicle with Euroserve does not affect your manufacturers or statutory warranties, in fact, the opposite can be the case. By Euroserve servicing your vehicle during the warranty period, we can pick up on warranty problems that the dealers may put off until after the expiration of the warranty, at which time they can carry out the repairs at full retail rates to you. Just from what we have seen through doing "End of Warranty" checks, we have saved customers hundreds of thousands of dollars over the years. Modern European vehicles now require the use of specialist equipment to reset service indicators. Many European vehicles require this specialist equipment to know the level of servicing required, as well as inputting data such as oil grade used. In some cases this vehicle information has to be downloaded, sent to the factory, and software approval installed into the vehicle CBS (Computer Based Service System). Euroserve is one of those specialists and we have invested hundreds of thousands of dollars in diagnostic equipment, so we can offer you a true "independent" Saab dealer alternative. Euroserve carries out all Saab repairs in-house, and unlike dealers, we re-manufacture many vehicle assemblies in-house. One of the few assemblies we do not always re-manufacture is automatic transmissions which are subcontracted out to a European factory approved repair facility. we have a dedicated technician (who studied electrical engineering) to diagnose all those strange warning lights that are illuminated on the dashboard or drivers information display, such as SRS, DSTC, ABS, DPF emissions and Catalysts. Because we at Euroserve are Saab specialists we are able to diagnose problems quickly, saving you money, as we have almost certainly seen the problem before and can in many cases offer an economical alternative repair. Through the use of factory equipment and Autologic UK we are able to download the latest software to your vehicle as well as, in some cases, have software written to allow second hand parts to be used on your vehicle as well as patches for tricky faults that bypass the need for expensive replacement of components.